A new environmental initiative targeting the superyacht industry's plastic consumption has been launched. Founded in 2017, the Clear Ocean Pact launched at the Superyacht Forum last week and aims to motivate the sector to reduce its dependency on plastics. The foundation presented its five point plan, which aims to raise the awareness of the sector's plastic footprint and “change its mindset” towards single use plastics. It encourages them to seek out "viable alternatives, innovations and ideas" instead. 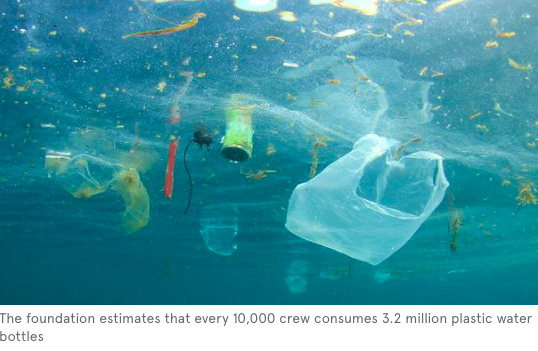 The foundation estimates that every 10,000 crew consumes 3.2 million plastic water bottles a year, equalling 100 tonnes of single use waste.